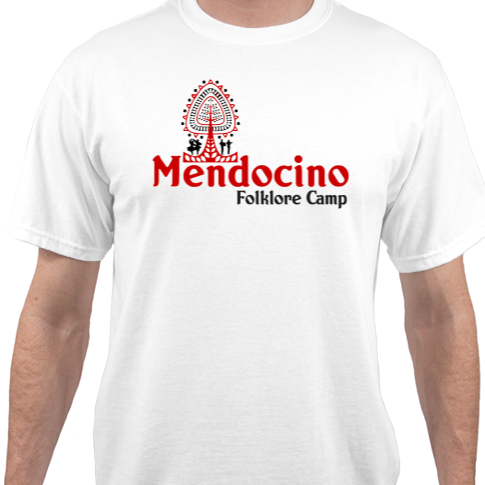 We are excited to offer camp shirts with our newest logo. 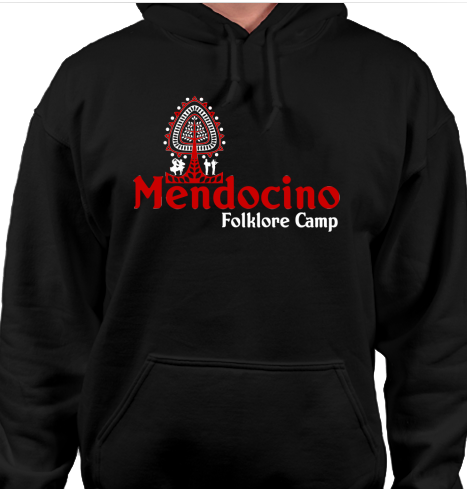 Not only do you have a chance to look good while sporting the coolest shirt in town, but you will also be supporting Mendocino Folklore Camp. This stylish hoodie is in very limited production. Overhead cost for them is high, so we could only risk making a handful of them. Available sizes are M, L, & XL. ​Send an email to the camp director (Daniel at FolkloreCampDirector@gmail.com) and he'll let you know if they're still available.